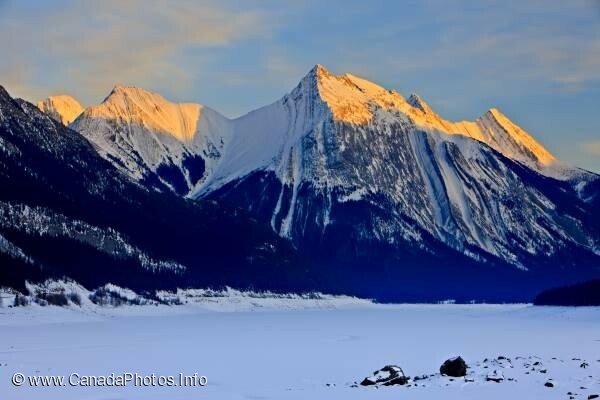 Beautiful winter sunset mountain scenery around a famous vacation place, Maligne Lake, in Jasper National Park, Alberta, Canada. Snow covered Medicine Lake during winter, Maligne Lake Road, Jasper National Park, Canadian Rocky Mountains, Alberta, Canada. Jasper National Park forms part of the Canadian Rocky Mountain Parks UNESCO World Heritage Site.